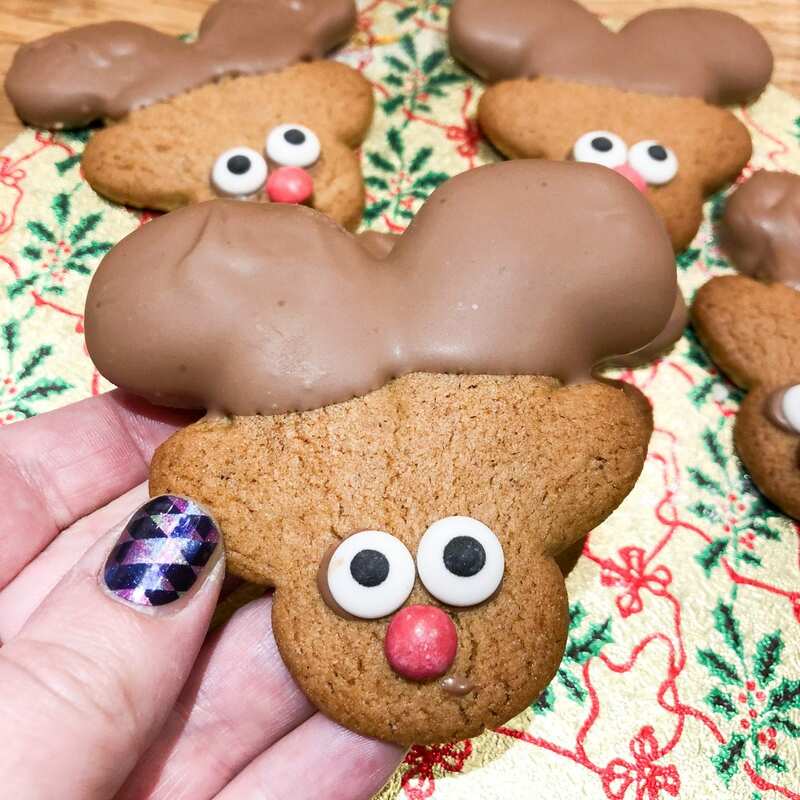 Gingerbread cookies are such a lovely seasonal treat, and these Reindeer Gingerbread Men Cookies are a great festive take on the classic. 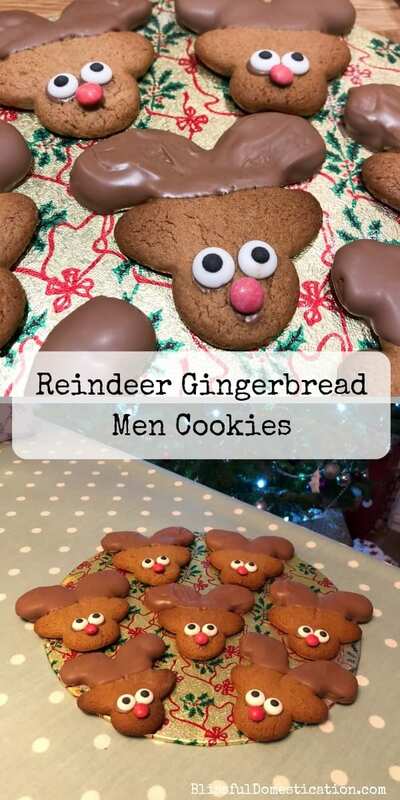 Using a traditional gingerbread recipe and gingerbread man biscuit cutter, that most well versed bakers have to hand this season, these Reindeer Gingerbread Men Cookies are such fun to make and (almost) too cute to eat. Who doesn’t love a gingerbread man especially at Christmas time? Well this is a little variation on the classic. I’d love to say this was originally my idea, but alas it is not. Oliver bought home this little gingerbread reindeer he made at pre-school a few years ago, and since then he has asked to make them every Christmas. I’ve seen lots of variations on the internet since, but I and Oliver like to stick to the original that he made. The kids love to help mix the dough, cut out the shapes and decorating them (not as much as they like licking out the bowl of chocolate afterwards!). 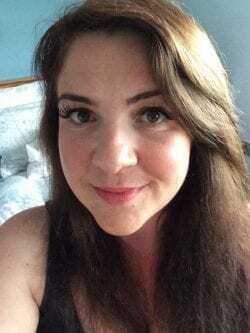 So if you would like to give it a go, read on to see how we make ours, or pin it for later! 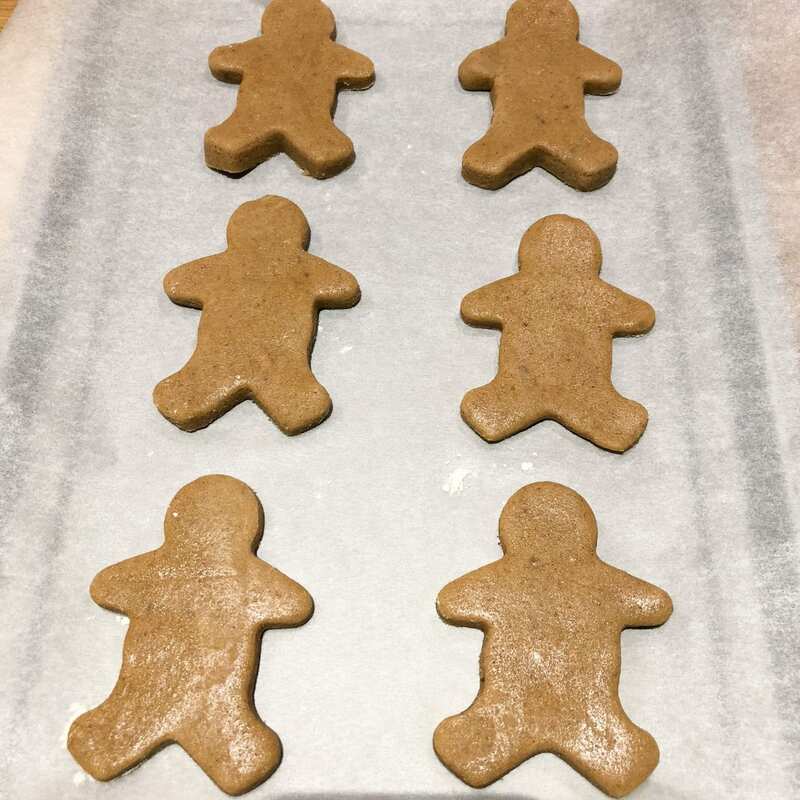 We used my gingerbread man recipe, but there are loads of recipes out there to make gingerbread dough, so go with your favourite. Equally these would work as sugar cookies if you’re not fan of the ginger. After you have chilled your dough there are a few key steps. Roll out your gingerbread dough to the thickness of a pound coin. The best (and cleanist) way to do this is to roll out the dough between two sheets of greaseproof paper. Make sure you lift the dough from the bottom sheet after every few rolls to prevent it from sticking. Use a regular ‘gingerbread man’ cookie cutter to cut out the shapes. The kids love getting involved with this bit. Place on a greaseproof paper lined baking tray. Use a blunt knife and cut between the gingerbread mans legs up to the level of where his belly button would be. 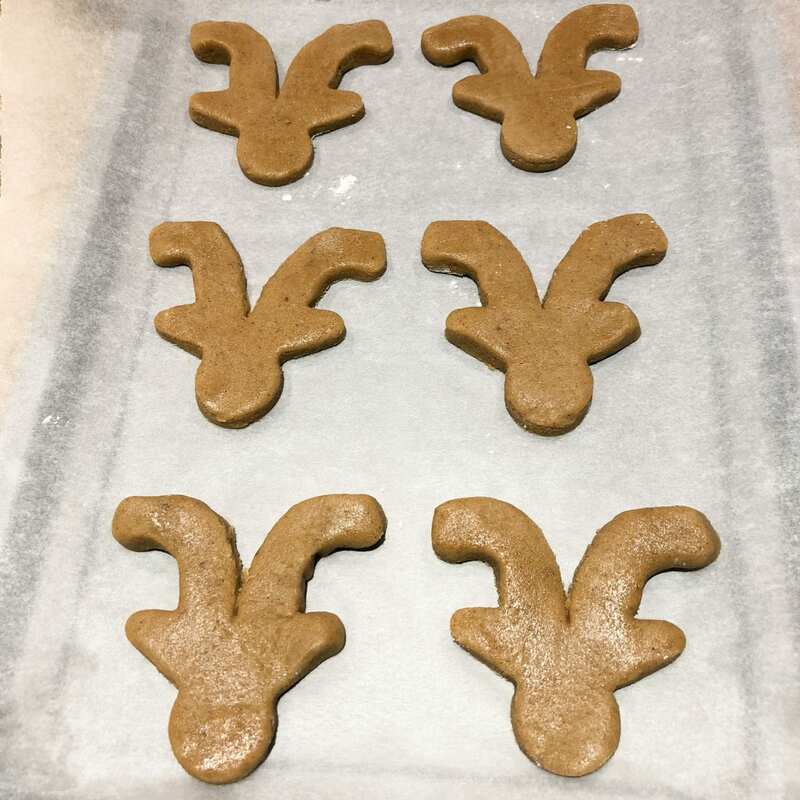 Turn the gingerbread men upside down, and fan out the two legs to make antlers. You can now start to see the reindeers taking shape. Bake in the oven. 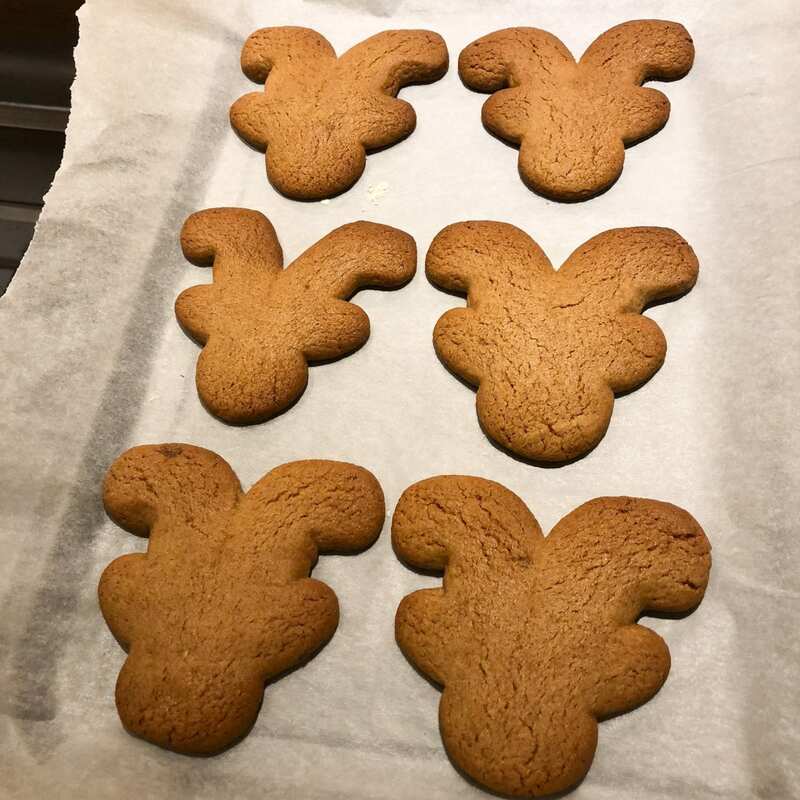 It depends on what gingerbread recipe you are using for temperatures and time, but we baked ours for 8-10 minutes on 180c (170c fan oven). When cooked they should still be soft, and just going brown at the edges. When completely cool they are ready to decorate. Melt some chocolate over a pan of boiling water. the kids can then cover the reindeer’s antlers in chocolate by dipping the reindeer gingerbread into the bowl. 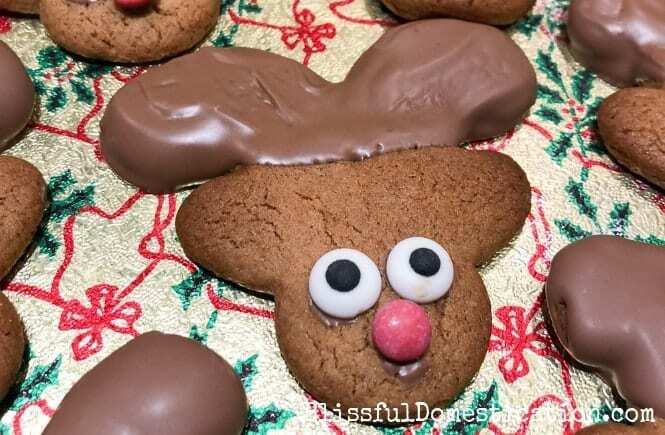 You can also use a little of the melted chocolate to attach some edible googley eyes and a red smartie for a nose. That’s it! Simple but effective, and a lovley festive treat to bake and enjoy with children. 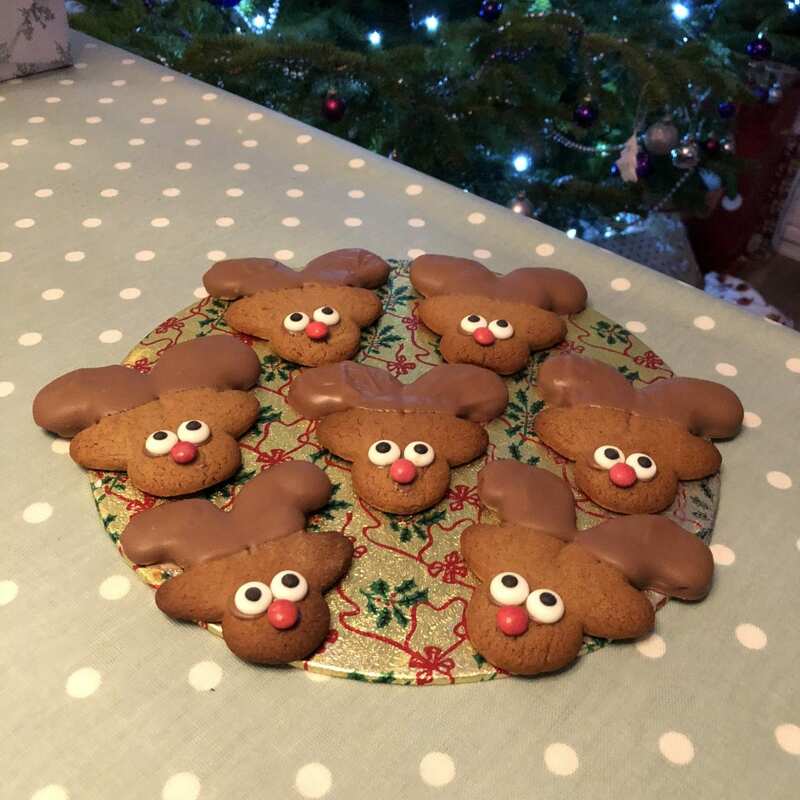 What do you think of our little reindeer gingerbread men cookies? Do you bake gingerbread at Christmas time?